Hungarian filmmaker Laszlo Nemes brought the unimaginable horrors of the Auschwitz-Birkenau extermination camp uncomfortably close up in Son of Saul, which won the Academy Award for best foreign picture in 2016. 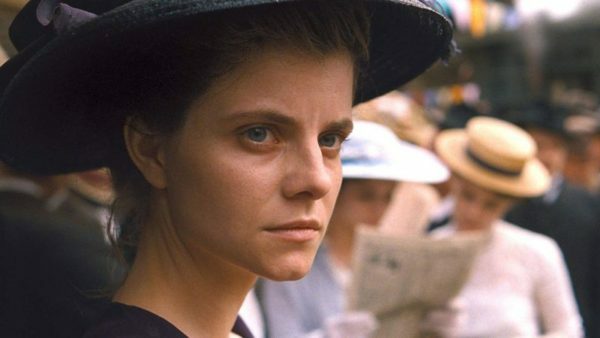 Now, three years later in Sunset, which opens in Canada on April 5, Nemes transports us to fin-de-siecle Budapest on the eve of World War I, which paved the road to the dissolution of the Austro-Hungarian Empire and the advent of Nazi genocide. As this lush period piece gets under way, Irisz Leiter (Juli Jakab), a pensive young woman with penetrating blue eyes and a direct manner, finds herself at Leiter, an upscale millinery shop founded by her late parents. In revealing camera angles, she tries on fancy hats but offers no opinions on them. The shopgirl who attends to her is polite and speaks in a respectful near-whisper. When Irisz says she’s here to apply for a job as a milliner, the attendant’s tone abruptly changes, growing distant and brusque. Zelma (Evelin Dobos), the manager of the shop, is startled to learn that Irisz is a Leiter. Her parents, Leopold and Roza, perished in a fire that consumed the business when Irisz was only two years old. After Zelma informs Oszkar Brill (Vlad Ivanov), the proprietor of Leiter, that Irisz is on the premises, he orders refreshments to be served in his ornate office. Brill, a remote figure whom Ivanov portrays with elan, has no position to offer Irisz at the moment. Instead, he advises her to leave Budapest at once. “This city is not for you,” he says, handing her a first-class train ticket back home to Trieste. Although Brill is nervous in Irisz’s presence, he drops a personal note into their conversation by assuring her that he has tried to preserve her parents’ spirit at Leiter. Sensing that she has no intention of leaving Budapest any time soon, Brill puts her up at a hotel where his female employees live. It’s a remarkably seedy place, especially when juxtaposed against the elegance and refinement of Leiter. Later, in a change of heart, Brill offers her a temporary job at Leiter. The film segues into a different direction when Irisz announces she is looking for her brother, Kalman, whom she has not seen in decades. It would appear that Kalman is a low-life, a common criminal. From that point forward, Irisz is drawn into a confusing and disorienting vortex of intrigue and violence. “Blood will flow this week,” a man at a dance mysteriously warns her. In quick succession, Irisz meets a drug-addled countess who knows Kalman and two rough-and-tumble coachmen who do not exactly treat her with kid gloves. Much to Brill’s satisfaction, Irisz proves to be a diligent worker, at least until her second encounter with Austro-Hungarian royalty. Jakab’s performance is mesmerizing more often than not. Sunset, a moody movie rife with both subtle and explosive moments, takes us to a city, a continent and an empire on the cusp of a great political upheaval. As Nemes implies, no one ever knows what lies around the corner, least of all Irisz Leiter.